This magnificent project celebrates the historic State of Alabama Judicial Building and offers spectacular views of Montgomery's downtown, the Alabama riverfront and the state capitol building from its landscaped terraces and private executive balconies. 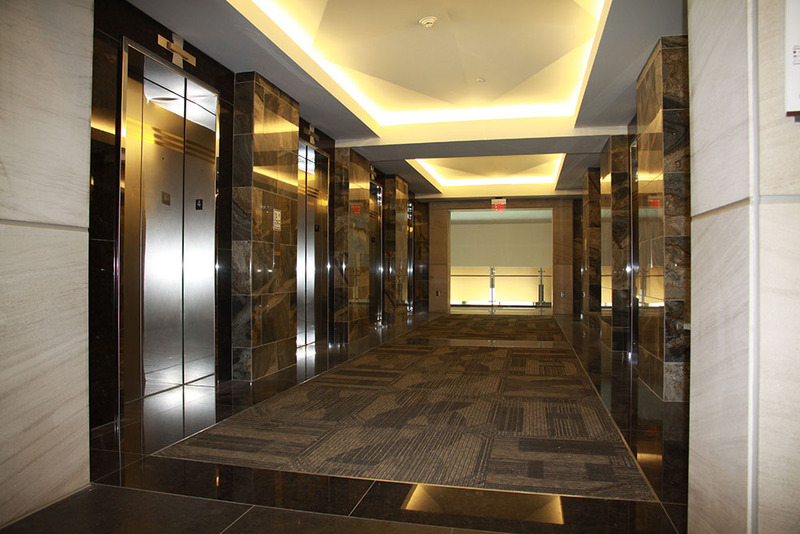 Its interior combines the finest of woods, limestone, granites, marble, and stainless steel. 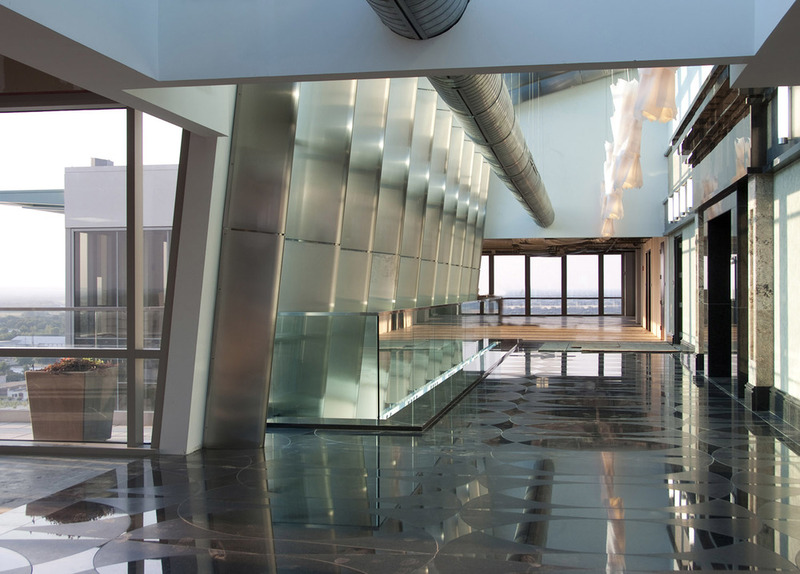 Visitors will be awed by the dramatic four-story lobby/atrium, with its high limestone walls and grand staircase, with elevators covered in polished granite, glass and stainless steel. 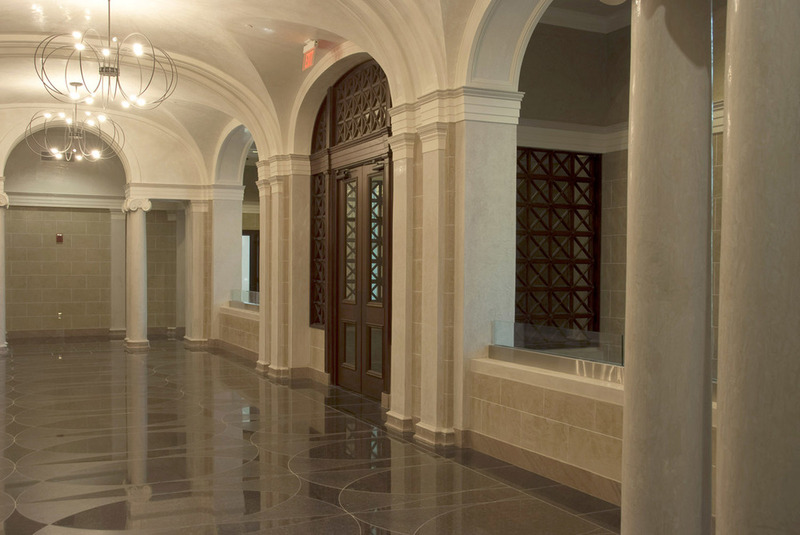 The showcase of the project is the fully restored historic Alabama Judicial building which is embraced by the 50 foot high structural glazed grand vestibule, at Dexter Avenue. The restored portions of the project have been adapted for premium executive office space and a conference multi-purpose center which features the original Supreme Court chamber and lobby.